First off, back in the day, "holy" and "blues" really couldn't be referred to in the same sentence without a fight; you could almost see the god-fearing churchgoers hustling their kids past the street singers and bars where the bluespeople were. Strangely enough, though, the lyrical content of both basically dealt with the raw deal of racism and hard times. The blues made it rhythmic, danceable and cathartic, whereas the gospel folk opted out for the promise of salvation and a better life after death initially peddled by the Christo-colonial capitalists. However, both essentially dealt with the fallout of oppression. 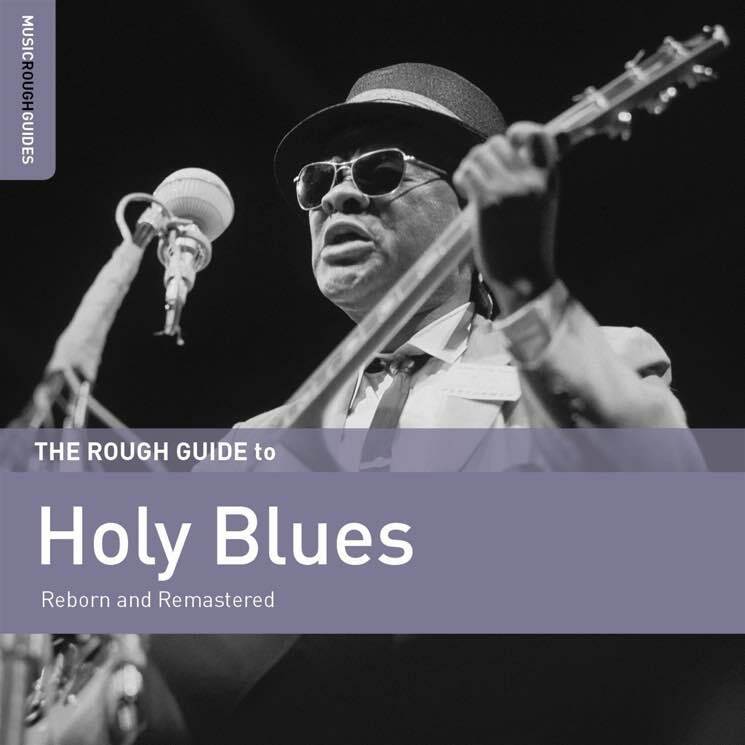 New collection The Rough Guide to Holy Blues is a great representation of the most familiar of gospel/blues singers like Reverend Gary Davis and Blind Willie Johnson to unknowns like Mother McCollum. While the form remains basically the same, there are gems of performance, like the tinkling spaciousness of Washington Phillips' homemade version of an autoharp on "Denomination Blues Pt. 1 and 2," which makes Phillips sound like he's already in heaven. Equally magical is Blind Mamie Forehand singing "Honey in the Rock" with a tiny bell holding down the rhythm like some child's version of a church bell.